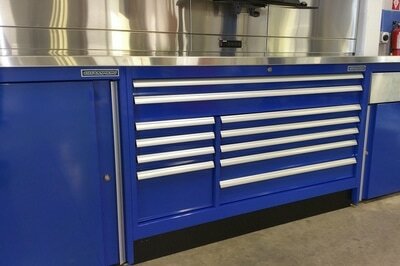 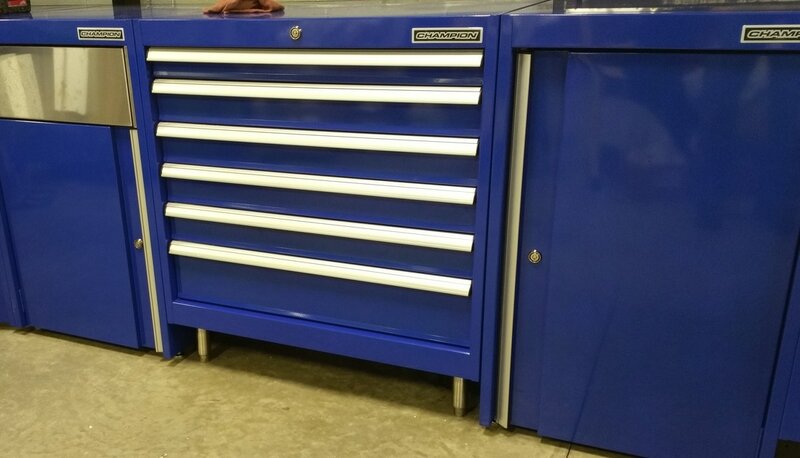 Our Tool Box Cabinets come in a wide range of sizes to complete your service work center. 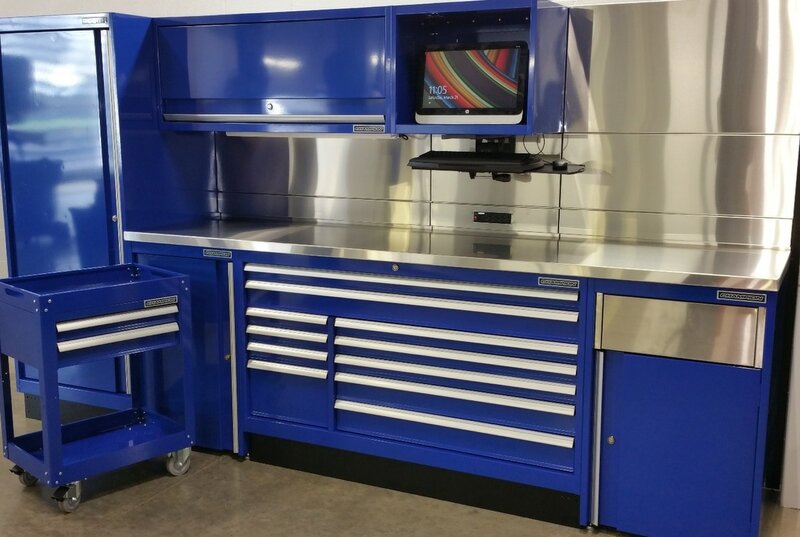 Our Tool Box Cabinets allow 100% access to the cabinet contents with full extension slides. 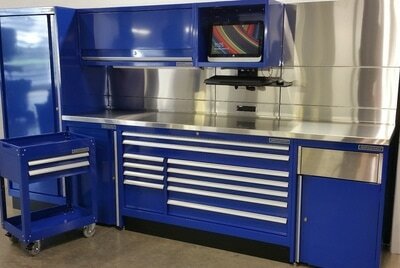 All of our storage cabinets come ready to install and are modular. 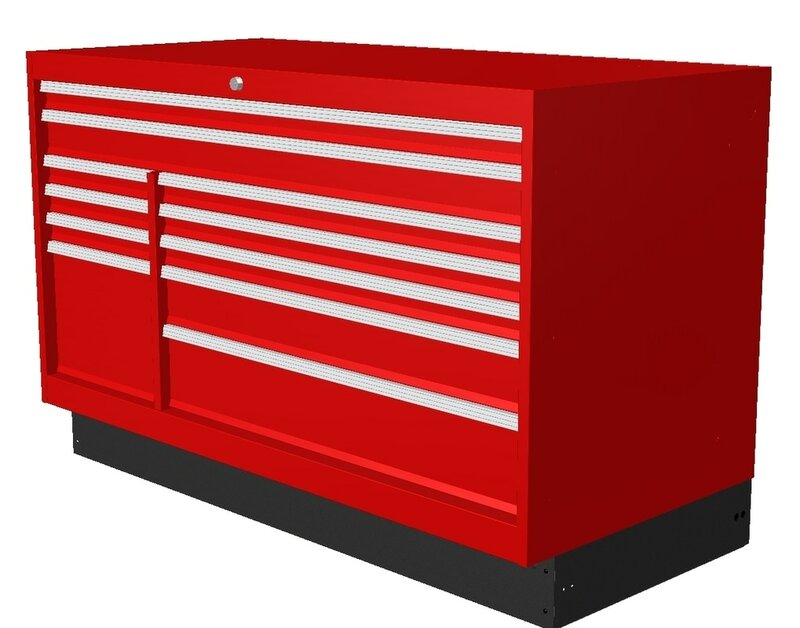 You can bolt any of our Base Storage Cabinets together in line with the Tool Boxes using the pre punched holes and hardware. 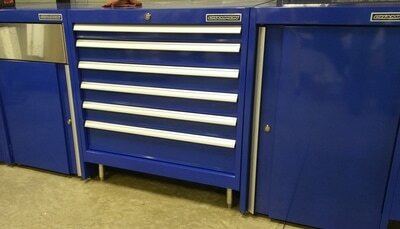 The Tool Boxes come with adjustable leveling feet and kick plates. 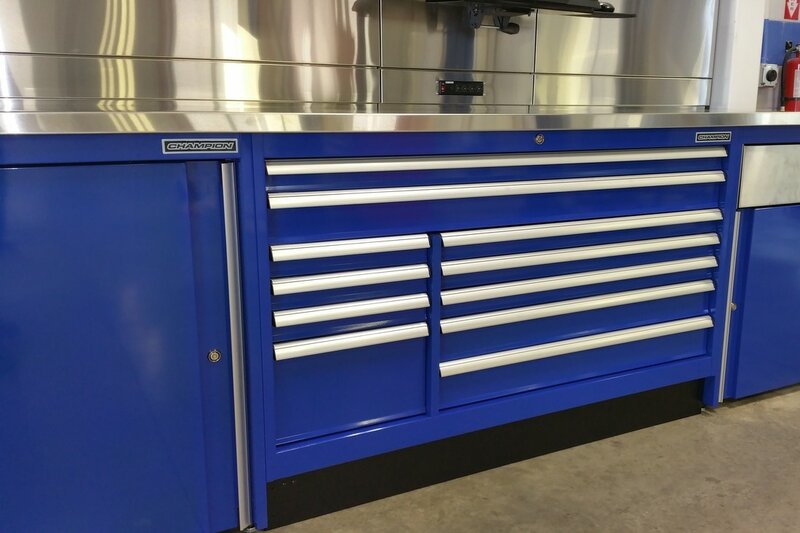 Finish off your tool box with our stainless steel tops!